With the advent of our new ROLLING THUNDERTM full spectrum sound system, we've had countless requests for upgrade kits for legacy Paragon2 locomotives. To address this overwhelming request, we're proud to announce Paragon3 with ROLLING THUNDERTM Upgrade Kits! These kits are designed to be direct swaps with the HO Paragon2 electronics boards that are mounted onboard Paragon2 locomotives (and tenders on steam locos). Kits will be released model by model with the appropriate sounds already programmed into them. When the Paragon3 version of a locomotive is released, if it has a Paragon2 counterpart, the Upgrade Kit will become available for purchase at the top of this web page. A customer who owns a Paragon2 SD40-2 locomotive and desires to have ROLLING THUNDERTM functionality purchases the appropriate SD40-2 Paragon3 ROLLING THUNDERTM upgrade kit from our website. The customer may choose to perform the install themselves or request that we perform the installation for an additional fee. The end result is that the customers Paragon2 SD40-2 now is upgraded to Paragon3 with ROLLING THUNDERTM, with all of the higher fidelity and full spectrum sounds that the ROLLING THUNDERTM system provides. If you're comfortable with some light disassembly of your locomotive or tender, order your upgrade kit on this web page and we'll ship it to you. 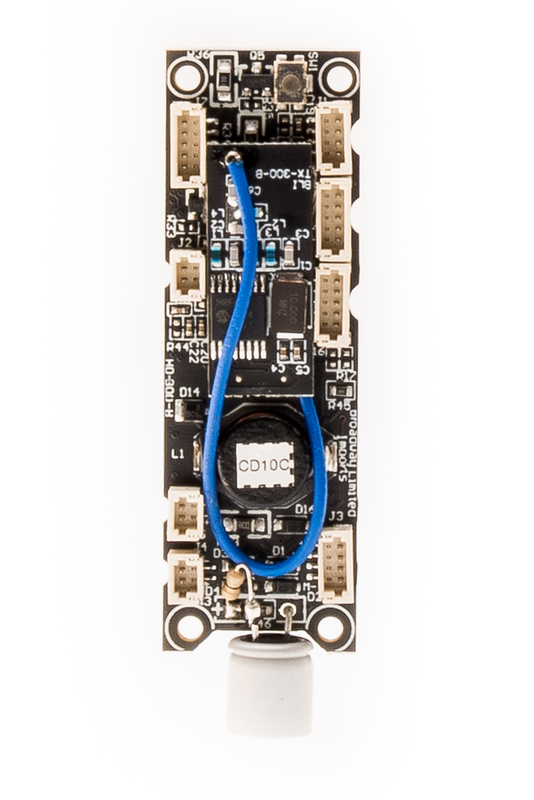 Send your functional old Paragon2 board back to us within 90 days in the same packaging in which you received your upgrade kit and we'll credit you the $30 core refund to your original form of payment. You are welcome to keep your Paragon2 board, however you'll forego the $30 core refund. If you'd prefer we install the upgrade for you, we can do that. Purchase your upgrade kit from this webpage and check the box to request we do the install. You'll ship your locomotive to us and we'll replace your Paragon2 electronics with Paragon3 with Rolling Thunder. We'll keep your old board and credit the $30 core refund to your original form of payment. You pay to ship it to us, we'll pay to ship it back to you. Only available to addresses in the contiguous United States. Upgrade kits are made available per prototype at the time the prototype is released in Paragon3 series. This means some upgrade kits are not yet available. Available kits are listed at the top of this page in the drop down menu. Select the appropriate upgrade kit for your Paragon2 prototype. If you intend to install the kit yourself, simply complete the checkout process and we will ship you the upgrade kit. Once you receive your installation kit, carefully remove your existing Paragon2 electronics board and mail it back to us in the packaging in which your Paragon3 upgrade kit came with a copy of your original Paragon3 upgrade kit invoice. This must be done within 90 days of ordering your upgrade kit to be eligible for your core refund of $30. When we receive your returned Paragon2 board, we will test it to make sure it functions properly. Once the returned Paragon2 board is confirmed functional, we will refund your original method of payment the core refund of $30. Core refunds may not be available for boards returned after 90 days. If you want our service department to install the kit for you, select the check box indicating you want the install done for you. You will see the additional installation fee during checkout. Print a copy of your Paragon3 upgrade kit invoice to include with your Paragon2 locomotive. Once we receive your locomotive, allow 3 weeks for processing and return. Assuming your Paragon2 electronics are fully functional when we perform the upgrade, you will automatically be refunded the $30 core refund when we ship your locomotive back to you. Q: Why would anyone want to upgrade their Paragon2 locomotive to Paragon3 with Rolling Thunder? A: The reason so many customers have requested this upgrade kit is to take advantage of the cutting edge features our new Paragon3 system offers. Along with superior onboard sounds, it also features Rolling ThunderTM, our patented new wireless full spectrum subwoofer driven system which creates never-before-experienced sound and realism. Now instead of straining to hear the chuff, diesel idle or whistle, Rolling Thunder makes you feel it with room shaking volume (if you want) and heart pounding bass. Q: Will my upgraded unit sound exactly like my Paragon2 unit did, but just with added Rolling Thunder bass sounds? A: Several things will change when you upgrade your unit from Paragon2 to Paragon3 with Rolling Thunder. Things that will change include, but are not limited to: sound effects (characteristics), available sounds (some crew talk and city / farm sounds are changed or eliminated), function button changes (certain functions have been mapped to alternate keys). Q: Is the upgrade procedure simple enough to perform on my own? A: The upgrade procedure is relatively simple and achievable if you are mechanically inclined. 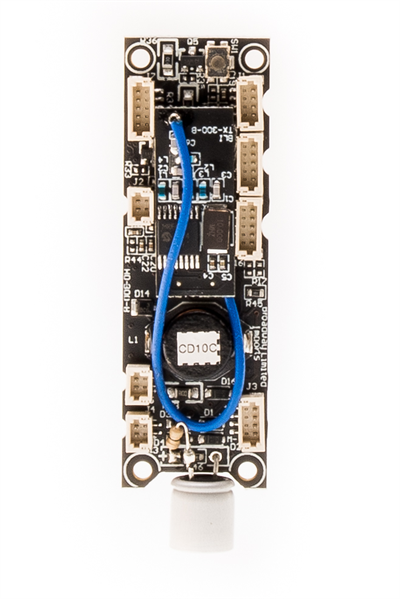 The replacement board is designed with the identical footprint and uses the same hardware. However it is necessary to disassemble the model to get to the electronics. If you are uncomfortable doing this we recommend you having us (or your dealer) perform the install. We anticipate most of our customers will opt to have it installed for them rather than performing the install themselves. Q: Is the upgrade kit only for the conversion of Paragon2 locomotives to Paragon3 with Rolling Thunder? A: Absolutely. This upgrade kit is designed strictly for the upgrade of Paragon2 locomotives to Paragon3 with Rolling Thunder. Any other use of the kit is completely out of the scope of the reason the kit was designed and we provide absolutely no support for using the kit for any other purpose. Q: I don't see the upgrade kit for my model listed. When will it be available? A: Upgrade Kits are made available as the corresponding prototypes are released in the Paragon3 Series. For example, the upgrade kit for the SD40-2 is already available because the model has been released as a Paragon3 model. However, the upgrade kit for the RSD-15 is not yet available (as of this writing on 1/15/16) because that model has not yet been released as a Paragon3 model. The upgrades will appear in the drop down box at the top of this page when they become available for order. Q: Is the upgrade kit available through my dealer or distributor? A: The kit is only available through our Service Department through this web page. Each kit is produced to order, not produced in mass quantities. Q: What is the $30 core refund all about? A: The $30 core refund is incentive for customers to send back their Paragon2 circuit boards to us rather than fill our already ballooning landfills. When we receive your old Paragon2 circuit board back in fully functioning order, we refund $30 to your original payment method. The offer expires within 90 days of the original upgrade kit order. Q: If I want BLI to perform the install, who pays the shipping back and forth? A: BLI performs installs for customers in the United States. The customer is responsible for shipping on the way to us. We cover the shipping back to any address in the contiguous US. Q: What do I do if I want my dealer to install the upgrade? A: Not all dealers are equipped to perform this install, however many will be able to perform it for you. If your dealer says they can do it, simply purchase the upgrade kit from this website and take it to your dealer with your model. Remember to have your dealer return the old Paragon2 board to you so you can return it to us for your $30 core refund. Q: What if I want to keep my old Paragon2 board? A: You are certainly welcome to keep your Paragon2 board. However if you return it to us in functioning order, you will receive a $30 core refund to your original payment method. Q: How long will it take to have my locomotive upgraded by BLI? A: Please allow up to 3 weeks for us to upgrade your locomotive before contacting us regarding the status of your upgrade. Q: Will BLI ever offer an upgrade for N scale Paragon2? A: No. Due to the difficulty of performing this upgrade, we have no plans to offer N scale upgrades. (all installs require disassembly) SOUND FILES DIFFERENT?